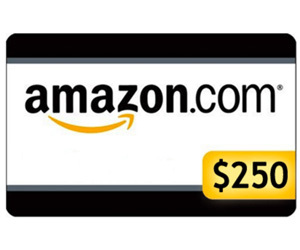 Sign up for the Just Free Stuff Newsletter and you can win a $250 Amazon gift card. Open to residents of the US and Canada. You have until the end of the month (8/31) to enter. Good luck. From the giveaway form, it looks like you don't have to subscribe to win, but you will get more entries into giveaway if you do.